A Guide for Young Professionals Who Have Decided to Relocate | Rochester Young Professionals, Inc. Many young professionals can relate to the feeling of experiencing a transition. New jobs, a new place, new relationships, new friends, new colleagues, finishing school, leaving school, going back to school. Many of these experiences are inevitable for us young professionals. In fact, if you are like me, sometimes it feels like there are more things changing in your world than staying the same on a daily basis. One of the biggest changes that you can undergo as a young professional is changing cities. The kind of changes that require uprooting your life and moving to a totally new place. The place where your closest relationship is with the barista who gives you your coffee every morning at Starbucks. A little leg-work can go a long way here. Find professional organizations, meet-up groups, a gym, anything that could help you keep a routine and build a community. Now make a list. Make it a long list. The first time you try and plug in, it might not work. You need to be resilient and keep trying until you find a community that suits you. 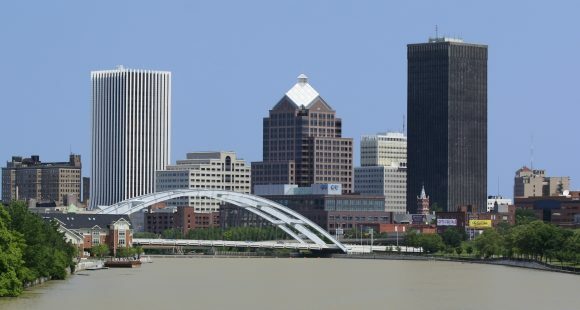 When I moved to Rochester I volunteered for two organizations, signed up for more than five Meet-Up groups, and reached out to numerous other organizations – very few of these stuck. Cast your net wide, you never know where you will find your groove. Odds are, you won’t hit a home-run the first time. Hint: It is very unlikely that you will meet people by going to the grocery store or walking through Target for the 100th time in a week. You’re not going to find your new best friend reaching for the same jar of marinara sauce at Wegmans. Your life is not a romcom, and it’s going to take some work and intention to make friends, build your network, and ultimately successfully plug into a community. In all fairness, if you have recently relocated, you are probably doing a lot of things that make you uncomfortable. But this means you should go out and do more. Do it intentionally and with purpose. Knock on a neighbor’s door and ask them to come over for dinner. Leave your house, apartment, or condo. Go outside – there is life out there. Relocating can be one of the most lonely and overwhelming experiences of your life. Find a place where you can be alone, but you don’t have to feel alone. I even suggest taking a long drive around the city every morning or night. Google a place and go there. This will help you learn the lay of the land and when people talk about different locations, you won’t feel like they are speaking a foreign language.